If your pet door has created a draft, it’s because it doesn’t close tight enough, or it isn’t insulated well enough. Take a look at the flap and make sure it seals tight. Make sure there isn’t dirt or debris preventing the flap from closing – and that the flap isn’t broken. If your door has weather seal, check that it’s undamaged. If it has magnets, do they pull the flap tight enough against the frame? When it comes to pet doors, the old saying that you get what you pay for is true. Many cheaper models will welcome wind, heat, snow, and sun into the house. If this is the root of the problem, consider upgrading your door to a higher quality model. 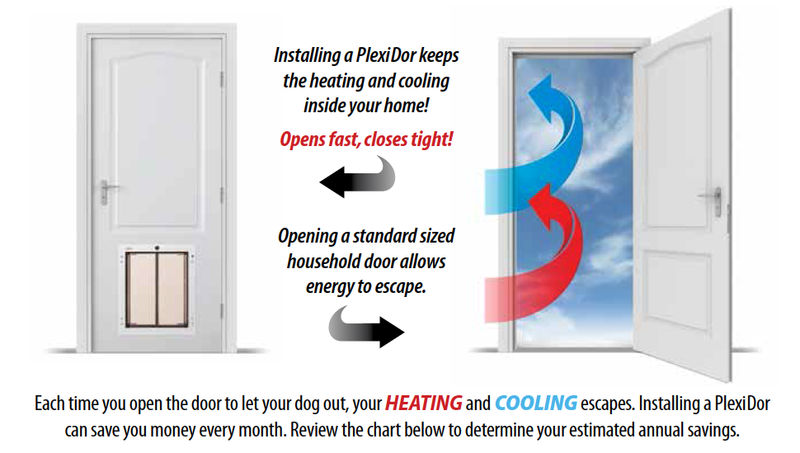 Doors like the PlexiDor that are well insulated and prevent drafts will be a higher initial investment than purchasing a plastic door, but they will also pay that money back through many years of trouble-free operation, and saving on heating and cooling.